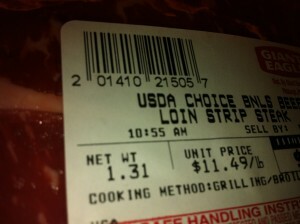 Episode 31: My experiences buying local grass fed pasture raised beef. Verdict: It’s awesome! Hello, my name is Nick LaDieu and I’m a beefaholic. I just can’t get enough of 3.80 cents a pound grass fed pasture raised Angus beef. I just love it and the fever is spreading. I’ve already spread the addiction to many of my friends here in Pittsburgh and I want to share it with you now. You’re not going to the grocery store to shop for meat anymore and I bet that consumes a lot more time than you realize. Guess what? You can still eat fast food. That’s right! I eat fast food 5 or 6 times a week. In fact just yesterday I had 2 burritos from McLaDieu’s freezer section. One grass fed bean and beef burrito and one pasture raised pork sausage and free range egg burrito. It even featured some jalapeno peppers grown right in my backyard! I got home from work late (9:30pm!!) and threw them right in a microwave just like the ones from the gas station. McLaDieu’s also features beef and barley soup, grass fed Angus and venison stew. Ham, sausage and egg casserole and a bunch of other nifty meals ready to go. The chef (Nick LaDieu) told me it took him about 3 hours on a Saturday to make 40 bean and beef burritos. To make beef stew was just about 40 minutes of prep (chopping vegetables mainly) and throw it in a crock pot or cast iron dutch oven. McLaDieu’s sources his grains from his local food co-op who can order them in bulk for him. So convenient! I don’t have a chest freezer. This one is easy. Go get one! What the hell… you’re not even trying to come up with a valid excuse here. You can even get small chest freezers that could easily fit in an apartment. Let’s be a bit more creative with the excuses people. You will not regret this decision. I can’t afford to buy groceries so I have to eat all fast food. Ok, this is a tricky one and I’ll drop the jokey tone to address this one. I truly feel for people who don’t have means to get good healthy food for their families, however for the vast majority of people there are a few other factors going on. One factor is lack of knowledge, I’d like to believe this is the major factor and that if people knew how much money they could save by eating something like grass fed beef that they would switch over immediately. I think most people are stuck in the “buy as you go” model of consuming and look at a place like whole foods and say “I can’t afford that stuff”… hell most people can’t!! The “elephant in the room” is most people are too lazy to cook and their mindset and priorities are too mainstream to even process the idea of buying 150 pounds of cow. Sorry, I have to call it like I see it! This doesn’t have to be you though, you can get yourself some grass fed beef. 2) Talk to the farmer! Work something out, these people want to sell you their beef and they are wonderful people. 3) Go in with people. Rally the troups and get as much as you can. I tried this year to find people in Pittsburgh to get in on an entire cow but failed. I ended up getting a side again this year, however I’m going to try again next year so I can pay a cheaper price per pound. The more you buy the more you save. 4) Respect the saying “Pay the grocer or pay the doctor” Get your mindset right, learn how to cook, and get yourself some meat! Bla Bla Bla…. I don’t want to hear it. 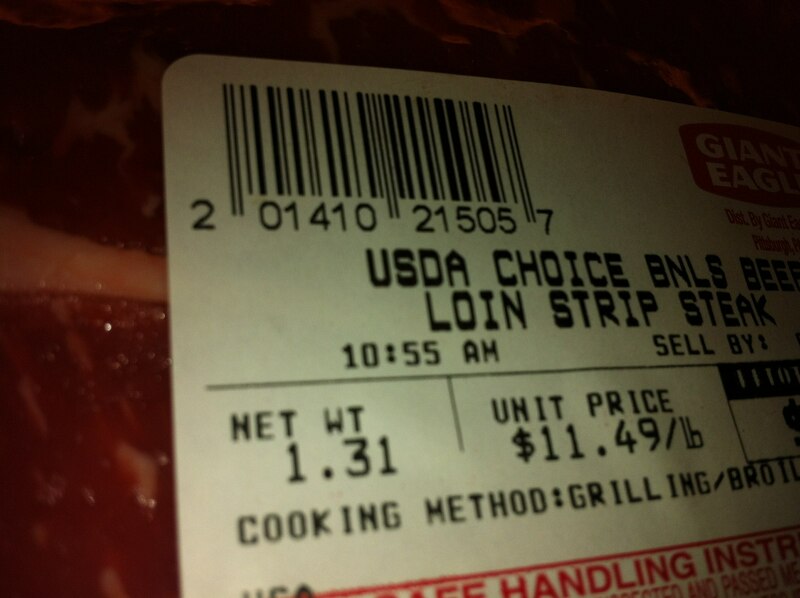 Get yourself some meat. My review of this book: 5 stars. I’m a bit of a cooking enthusiast so I always like to add my own twists. For example for my bean and beef burritos I make my own re-fried beans from scratch, but to make it easy I do it in a slow cooker (crock pot). No soaking required! Also toss in whatever peppers you happen to have also. You don’t need to stay in their sandbox but it is a great book to get good ideas and also get a handle on the volumes you need to deal with to make lots and lots of great bulk meals. Saves time and money. http://www.eatwild.com– I’m sure there are other worthy sites, but this is the one I used and it worked out great for me! 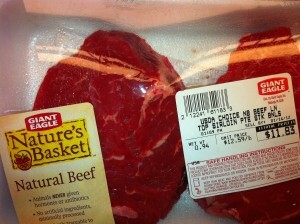 Author Nick-LaDieuPosted on January 27, 2012 March 5, 2013 Categories Blog, Podcast12 Comments on Episode 31: My experiences buying local grass fed pasture raised beef. Verdict: It’s awesome!